We all miss the Ford Crown Victoria, but it looks like police officers have finally found a viable replacement that can meet their needs, and it's not a sedan. 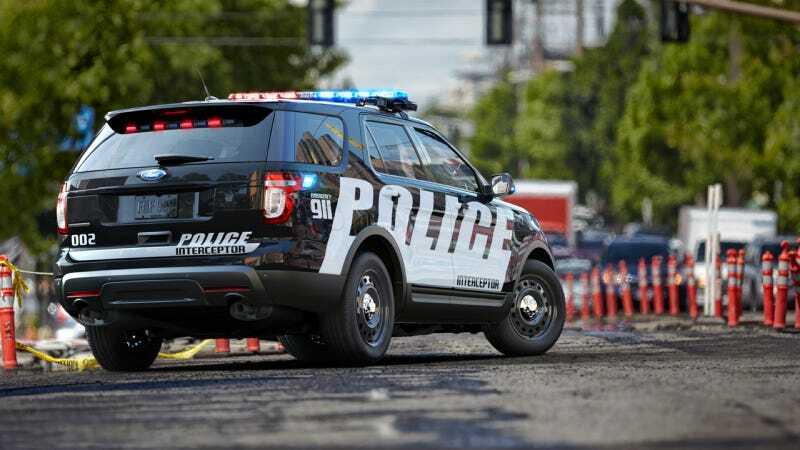 More and more police departments are opting for large SUVs like the new Ford Explorer, Chevrolet Tahoe and Dodge Durango instead of traditional sedans, reports Karl Henkel in The Detroit News. We've known for a little while that SUVs were increasing in popularity among law enforcement agencies, but that trend doesn't appear to be reversing. As much as 70 percent of Ford's police vehicle fleet sales are now for SUVs instead of cars. Major police forces, including the California Highway Patrol, have added SUVs to their fleet, and many more — including the Nevada Highway Patrol — are expected to follow suit in coming years. [...] In the past, police cruisers were typically rear-wheel drive, body-on-frame sedans with V-8 engines. Ford’s Crown Victoria, discontinued in 2011, was the best example of this. But as automakers began to shift away from rear-wheel drive cars with large engines, the options for police vehicles with those attributes has declined. It makes sense when you think about it. America may be known traditionally for making large cars with big engines, but when you look at the automotive landscape in 2013, that's really not the case anymore. SUVs allow cops to carry gear, personnel and suspects, and they're often safer, more versatile and also powerful. This year Ford is deploying an Explorer Police Interceptor model with their 365-horsepower, 3.5-liter turbo V6 engine from the Taurus SHO. In other words, our police headlamp guide may have to be updated sooner rather than later.